In 2016, Governor Cuomo signed into law the nation's strongest and most comprehensive Paid Family Leave policy. Today, working families no longer have to choose between caring for their loved ones and risking their economic security. The Paid Family Leave benefit is available for New York State Management/Confidential (M/C) employees in Bargaining Units 06, 18, 46, and 66. State employees in the Executive Branch who are represented by a union will have access to Paid Family Leave when the State and their respective union reach an agreement to provide the benefit to its members. On July 10, 2019, M/C employees in Bargaining Unit 98 and State employees represented by District Council 37 will also have access to Paid Family Leave through the State's vendor, MetLife. The Paid Family Leave benefit is also available for United University Professions (UUP) employees in Bargaining Unit 08 and unclassified Management/Confidential (SUNY MC13) employees. For additional information, visit: www.suny.edu/benefits/attendance/pfl/ . Paid Family Leave guarantees that employees can return to their same or comparable job after their leave ends, and that they will be able to continue their health insurance while on leave on the same terms as if they had continued working. Paid Family Leave is available for up to 10 weeks in 2019. The number of weeks employees can take will continue to rise through 2021, at which time employees will be able to take up to 12 weeks of job-protected, paid time off to be there for family when they are most needed. Leave can be taken either all at once or in full-day increments. Full-time employees: If you work a regular schedule of 20 or more hours per week, you are eligible after 26 consecutive weeks of employment. Part-time employees: If you work a regular schedule of fewer than 20 hours per week, you are eligible after working 175 days for your employer, which do not need to be consecutive. Employees with irregular schedules should look at their average schedule to determine if they work, on average, fewer than 20 hours per week. Citizenship and/or immigration status is not a factor in employee eligibility. Agencies will provide a PFL waiver form to employees who do not meet eligibility requirements . During 2019, employees can take up to 10 weeks of Paid Family Leave and receive 55% of their average weekly wage (AWW), capped at 55% of the Statewide Average Weekly Wage (SAWW). An employee's AWW is the average of their last eight weeks of wages prior to taking Paid Family Leave. The SAWW is updated annually . To estimate your benefits, use the Wage Benefits Calculator . New York's Paid Family Leave is insurance that may be funded by employees through payroll deductions. In 2019, the contribution is 0.153% of an employee's gross wages each pay period. The maximum annual contribution is $107.97. Employees earning less than the Statewide Average Weekly Wage (SAWW) of $1,357.11 will contribute less than the annual cap of $107.97, consistent with their actual wages. To estimate your deduction, use the Payroll Deduction Calculator . M/C employees who wish to utilize Paid Family Leave benefits must notify their agency personnel administrators 30 days in advance (if practicable). If your agency's human resources office is with the Business Services Center (BSC), BSC will complete the employer section of the claim form. If you have any questions, contact the BSC Personnel Administration Unit at BSCPersonnelAdmin@ogs.ny.gov or (518) 457-4272. 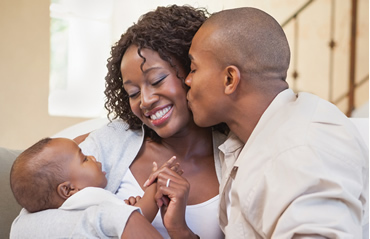 Once employees have notified their agency personnel administrators of their intent to utilize Paid Family Leave, they are encouraged to call MetLife at 1-800-300-4296 to begin the process to receive benefits. Alternatively, employees can begin the process by completing and submitting a claim as follows. More detailed instructions are provided on the back of each claim form. 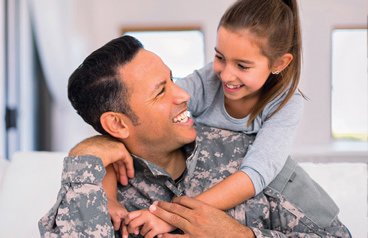 Employees must complete Part A of the Request for Paid Family Leave (MET-PFL-1), and then provide Part B of MET-PFL-1 to their agency personnel administrator to complete. Agency personnel administrators must return Part B of MET-PFL-1 to employees within three business days. Employees must complete the PFL forms indicating the reason they are requesting leave, along with all required supporting documentation. Employees must complete the Bonding Certification (MET-PFL-2). Employees must first ask their family member (the care recipient), or their authorized representative, to complete the Release of Personal Health Information Under the Paid Family Leave Law (MET-PFL-3) and submit it to their health care provider. This release will end after one year, or when your family member revokes it. The health care provider will keep it on file. Employees must complete the employee section of the Health Care Provider Certification (MET- PFL-4). 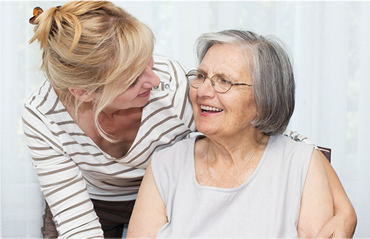 The employee, their family member, or the family member's authorized representative must provide MET-PFL-4 to their family member's health care provider. The health care provider completes the remainder of MET-PFL-4 and returns it to the employee's family member or their authorized representative. They then give MET-PFL-4 to the employee for submission. Employees must submit METPFL-1, the other request forms specific to the leave they are taking, and supporting documentation to MetLife via email, US mail, or fax. In most cases, MetLife must pay or deny benefits within 18 calendar days of receiving your completed request or your first day of leave, whichever is later. Your request cannot be considered incomplete solely because your agency failed to fill out Part B of MET-PFL-1 within three business days. Note: M/C employees may receive PFL benefits either by check or direct deposit. Employees wishing to receive payment through direct deposit must complete and submit MetLife's Electronic Funds Transfer Form. No action is necessary if an employee prefers to receive payment through a check. If you have a question regarding the status of your request, contact MetLife at 1-800-300-4296. According to the New York State Department of Tax and Finance Notice N-17-12 Paid Family Leave benefits are subject to State and Federal Income tax. To withhold federal taxes from your Paid Family Leave benefit, you must complete an IRS Form W-4S (Request for Federal Income Tax Withholding From Sick Pay) and submit it to MetLife with your initial claim form. To withhold New York State taxes, you must provide a written notice to MetLife specifying the dollar amount to be withheld from each weekly benefit check - you can use the New York State Paid Family Leave (PFL) State Tax Withholding Request Form for this notice. Note: If you wish to withhold New York State taxes you must also withhold federal taxes. Questions concerning how much to withhold should be directed to a tax professional. For questions, email us at pfl@cs.ny.gov.